Oooooh Spidey. 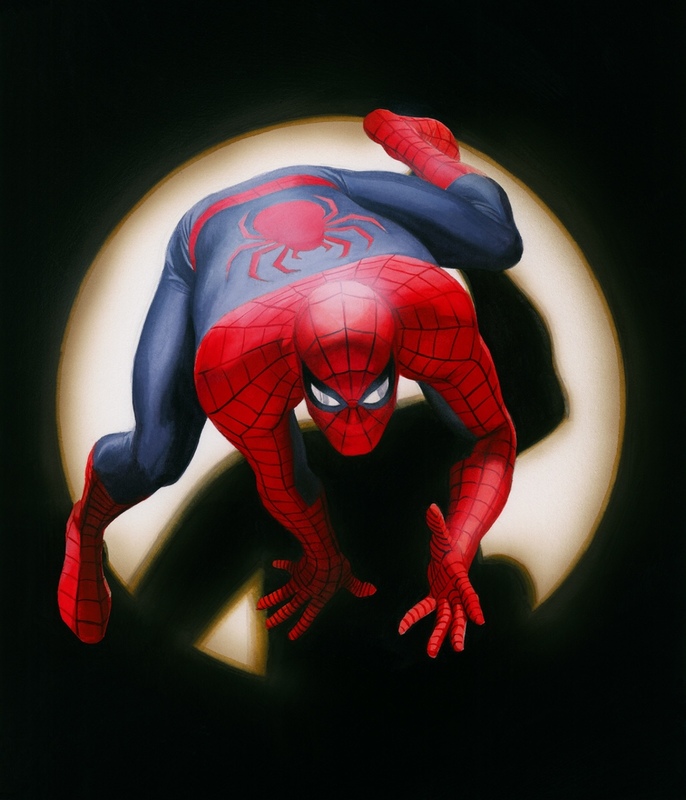 Who doesn't love when Alex Ross gets a hold of this character? So iconic. Click the art for full image! Born in Portland, Oregon, and raised in Lubbock, Texas, Alex made his artistic debut at three when, according to his mother, he grabbed a piece of paper and drew the contents of a television commercial he'd seen moments before. By age 13 he was scripting and drawing original comic books. Ten years later? 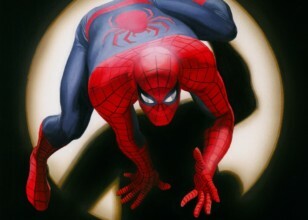 He was hired by Marvel Comics to illustrate Marvel's central characters in the comic book event, Marvels (1994). Having established himself creatively and financially with superhero projects, Ross turned to the real world with Uncle Sam, a 96-page story that took a hard look at the dark side of American history. Like Marvels, the individual issues of Uncle Sam were collected into a single volume - first in hardcover, then in paperback - and remain in print today. Ross would eventually go on to win the Comic Buyer's Guide Award for Favorite Painter. He won so many times that the award was officially retired. Alex's work has celebrated the 60th anniversaries of Superman, Batman, Captain Marvel and Wonder Woman with fully painted, tabloid-sized books, depicting each of these characters using their powers to inspire humanity as well as help them. In recent years, Ross has applied his artistic skills to outside projects with comic book roots, including a limited-edition promotional poster for the Academy Awards. 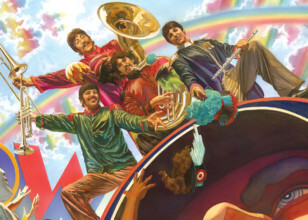 In 2015, Alex was chosen by Apple Corps LTD to be commissioned as the first artist in over 30 years to paint the Fab Four. Driven by the Beatles legendary music and inspired by the generation's new trends in art, "Yellow Submarine" is a classic of animated cinema. Alex has often been referred to as 'the Norman Rockwell of comics' yet his "Yellow Submarine" piece reveals the similarly powerful influence of master surrealist Salvador Dali, whom Alex has also recognized as a guiding influence on his style. Forty years ago, Spider-Man learned that with great power comes great responsibility. 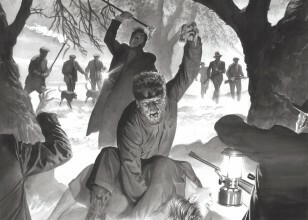 Looking at Alex Ross, it's obvious the lesson took. Looking back, it makes perfect sense that Alex Ross would become one of the world's most preeminent and well-respected comic book artists. It's a job he's been preparing for nearly all his life.